Tax filing in New Zealand for international students – if you are looking for more information on this topic, you have come to the right place. International students residing in New Zealand pay taxes to the government in the form of Goods and Service Tax (GST) and Income Tax. Taxes get cut automatically from the income a person earns in New Zealand. Even though it is not necessary for all international students to file for their tax returns in New Zealand it would prove to be beneficial if you do so. If the student has overpaid his/her taxes to the government filing for tax returns enables them to get a refund. In case the student has reached New Zealand halfway through the tax year or has an income from overseas it is important that they file for a tax return in New Zealand. The financial year in the country begins on the 1st of April every year and closes on the 31st of March the next year. The last date for filing for tax returns in New Zealand is on the 7th of July. An international student needs to pay taxes on any income earned in New Zealand. For this, the student requires an IRD number. The IRD Number allows the employer to pay you legally. 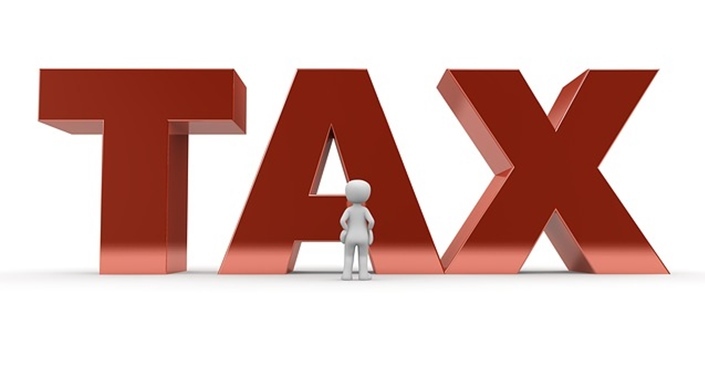 The highest rate of taxes is deducted when an individual does not have an IRD number. An international student needs to apply for the IRD number as soon as he/she arrives in New Zealand. This allows the authorities to tax a student for the right amount of taxes when he/she starts earning wages in New Zealand. How Can You Get An IRD Number? To understand the amount deducted as taxes the international students can request their PAYE records. The international student could get a tax refund once the tax credit is calculated by the end of the financial year in New Zealand. Many international students end up owing hundreds or thousands of dollars to the IRD because they’ve failed to file for their tax returns correctly. You could be a student who only has one part-time job but the IRD thinks you earn much more than what you do because you’ve used the wrong tax code. Avoid these mistakes while filing for your tax returns to get a tax refund that you are eligible for. Tax Filing In New Zealand For International Students – How To Pay The Right Amount Of Taxes? An international student who has been employed only for part of the year will get a tax refund. The student needs to request a personal tax summary for the particular year. If your yearly earnings are less than $2,340 the amount is not taxable. You don’t have to include this amount in your personal tax summary or while filing for tax returns. There are times when an international student gets taxed both in New Zealand as well as in their native country. This means you could end up paying taxes twice on the same income. As a relief to the taxpayers, New Zealand offers credits for the income that has been taxed twice. However, you need to file for a tax return in New Zealand to get relief in taxes in such situations. New Zealand has an agreement on double taxation with 39 nations around the world. If you are a student from one of those nations you wouldn’t have to pay taxes twice on the same income. An international student who has worked in New Zealand can claim a portion of the income tax that has been deducted regularly from his/her payslip. You need to file for a tax return at the end of a financial year to be eligible for a tax refund. The Inland Revenue Department on receiving your IR3 return processes it. Within a period of 10 weeks, you get a return acknowledgment that confirms your assessment.